This month’s interview is with Qin Tan out of Phoenix, Arizona. Qin considered the NCI marketing program for about three years and even tried a competitor’s program during that time before she decided to undertake our Plan 2 Client Acquisition program in 2011. She is coming up on two years in the program and she’s very happy with the decision she eventually made to grow her practice with NCI. She’s now just two months shy of two years in the program and she is on track to reach our billing guarantee of $300,000 in new business within two years. 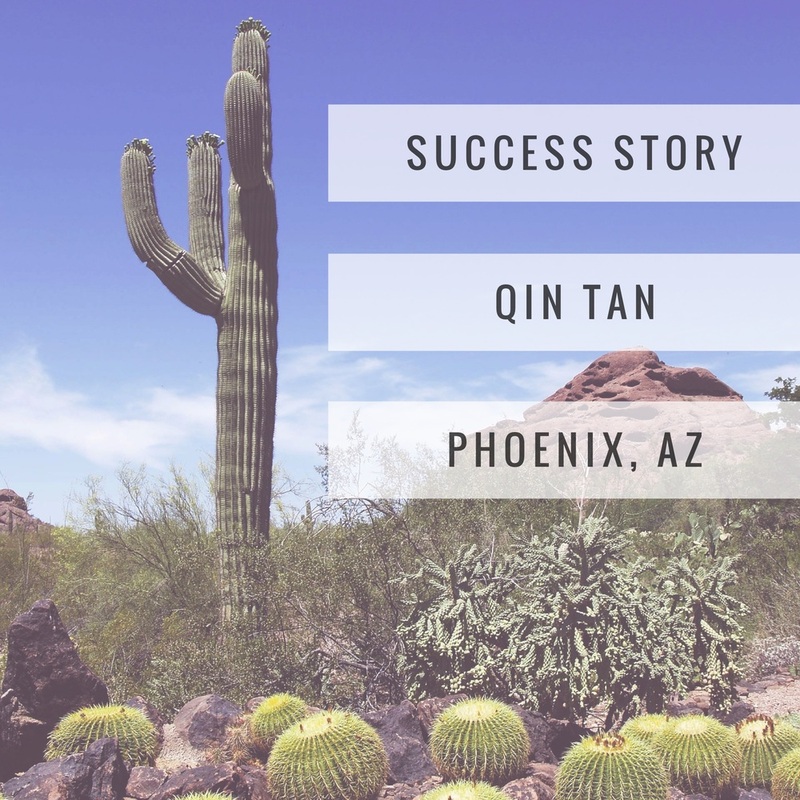 Read on to learn more about Qin’s decision to invest in the program and how it has helped her tremendously to grow her business and even open a satellite office in Mesa, AZ. Please tell me a little bit about your business background and how you came to own your accounting practice. I have a bachelor’s degree in accounting and I’m also an enrolled agent. I was living in California for ten years so when I moved to Arizona I worked with a CPA firm and I realized that I can handle all the services for small business owner’s on my own. So I started my practice in 2006 by servicing some friends who owned businesses. After some time had passed they started to refer me a good amount of business. For about half a year I did no marketing and grew through referrals. Then I started to try some marketing, I ran ads in the newspaper and on Craigslist.com and some other websites. I realized that the services I was providing were in demand by small business owners but I didn’t have enough work to keep me busy full-time and I didn’t have enough work to bring someone on part-time to help me either. During the tax season I did hire a part-time person to help me with tax returns but I didn’t have enough work to keep them on for the rest of the year, so every tax season I had to hire and train a new person and it was driving me crazy. My business continued to grow but not at the rate I expected. I had noticed NCI’s advertisements for some time and I did some due diligence on your company. I had tried another marketing firm previously, Universal Accounting, for half a year but it didn’t work well for me since I had to do all the marketing by myself along with running my business. I could only do so much on my own. I wanted to bring on some help but I didn’t have enough work to warrant doing so, that’s why I needed a good marketing system that could help me grow and expand my business. So I ran my business by myself for 3-4 years and then I hired NCI to install a Plan 2 marketing program for me. I did a lot of calculations and double checked all the numbers to make sure that the Plan 2 was the right thing for me to do. I thought a lot about doing it for 2-3 years before undertaking the program. In 2011 when you initiated the Plan 2 marketing program, what was the approximate size of your business? At that time my billing was about $65,000. You started the program in September of 2011; approximately how much growth have you been able to add since you started the Plan 2 program? I haven’t updated most of my financials this year but for the first year of the program I added $158,000 in new business. Adding that to my existing billings I was up to $223,000. So within a year I added almost exactly what the program promises. I would say that this year we are on pace to add another $150,000 putting me over $300,000 of new business growth within two years. That’s excellent! You mentioned that you did plenty of due diligence and took your time in making this decision. What were some of your concerns before signing off on the Plan 2 marketing program? I was concerned if the program would work for me. I had tried the other marketing program and invested money into it and it didn’t work for me so I was skeptical. I know that it may work for someone else but it may not work so well for me. I wanted to make sure it could work for me before I invested the money required. What has been your biggest challenge in terms of running the program? We are actually on our second CSR. So we had to go through the process of hiring and training a replacement for the original CSR. Also we’ve had to replace the appointment setters several times. This doesn’t specifically have to do with the marketing program but finding good quality accountants to help process the work is also a challenge I’ve dealt with. Have you managed to find good quality accountants at this point? So far, yes. We’ve managed to get two really good ones in place. I just interviewed another accountant yesterday for our new Mesa office location. We recently opened a second office there. You opened a satellite location, that’s exciting. When did you open that location? I’ll have the office by the end of July so right now I’m in the process of staffing it and getting it ready. It should open by the end of the month. We have a lot of new clients in the East Valley and travelling out there takes time so I decided to set up a new office there to make it more convenient for us and for the clients. As I recall, the first salesperson that we hired for your firm had to leave the position and NCI helped you hire and train a replacement. Can you talk about that experience and how NCI helped you through that situation? This is something that a lot of people considering the program express concern over. NCI helped me to find a good salesperson in my area, I’m really not good at marketing and I didn’t know what to look for in a good salesperson. That’s not my strength, so it really helps to have a trained sales professional who can go out and bring in new business consistently. Our first salesperson, Marissa, ended up having to move back home to care for her ailing parents. NCI helped me hire a replacement, Randy. Marissa agreed to help train Randy for a week before she had to leave. In addition, Randy reviewed the NCI Online Practice Development Seminar and other NCI training material. The process has really helped keep the business growing despite losing Marissa. What advice would you give to someone considering the NCI marketing program to grow their business? I would say to be ready to run the program and handle the incoming clients. In this program you’re definitely going to get new clients. You can only handle so much on your own, even with a marketing team in place to do the selling so be ready to hire staff to help you process the new work. Otherwise you risk losing your marketing investment and your new clients. That’s good advice. The last thing you want after investing in a marketing program and seeing it be successful is to turn around and lose those clients due to poor processing and service. Right, you yourself need to be ready and your firm needs to be ready for the growth. What is the largest client you’ve been able to sign up in terms of back work? The largest client, we recently did work for a client totaling $12,000. The previous accountant had passed away and they didn’t do any accounting work for three years and then got audited. So we went back and did 2010, 2011 and 2012 for bookkeeping, the audit and back taxes. We quoted $12,000 and have collected $6,500 so far with another $2,000 coming next week. We ended up saving the client a lot of money and that $12,000 figure could rise. What is the largest monthly accounting client you’ve been able to secure through the marketing program? We have one client that is $885 per month. In that situation I send an accountant once or twice a week to go to their office to get something done. We do work within their internal business software at their office. That fee also includes payroll service. Very impressive. Qin are you surprised by the growth you’ve been able to achieve during a tough economy? Yes, a little bit [laughs.] I expected 7-8 new clients per month. Sometimes we have a good month sometimes we have a bad one, it’s always like that. Sometimes we sign up six or seven in a month and we’re consistently growing so I’m of course in a much better growth position than when I was struggling to do everything by myself. You are not a CPA; I know that some of the accountants we talk to who are not CPAs express concerns over being able to sign up clients consistently if they are not a CPA. Can you comment on this? If you recall, we had discussed this previously. I had that same concern before doing the program. I felt a lot of clients were looking for CPAs. Since I started the program, I can provide essentially the same services as a CPA. Some clients do ask, is the accountant a CPA? Our Client Service Representative just explains to them why they don’t really need a CPA and that takes care of the issue. Sounds simple enough but that makes sense and is exactly what we tell people considering the program who raise that concern. Qin can you sum up your feelings about NCI and our marketing programs to finish the interview? We are just two months shy of reaching two years in the Plan 2 program. I feel good and excited about the program. I’m happy that I made the decision to use NCI to grow my business. Thank you Qin for your kind words and the time you took with me to do this interview. We appreciate it and look forward to continuing to hear of your ongoing success!